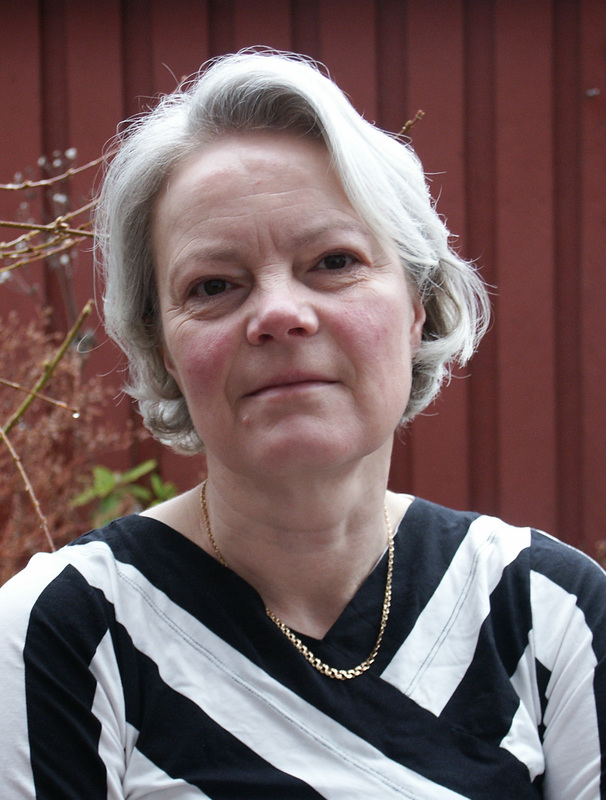 Brita Hermelin is professor at the Centre for Municipality Studies at Linköping University. Her educational and research background is in Human Geography from Uppsala University and Stockholm University. Research projects have foremost been about local and regional development, with focus on urban development and from the perspectives of service industries and knowledge intensive economic activities. Globalisation, urbanisation and networks represent important fundamental processes in the recent and current restructuring of society. These three key words imply uneven spatial and geographical development of resources and human settlements that are deeply involved in the emergence and consolidation of world cities and global cities. In recent decades, the globalisation of cities has been studied intensively and global cities are defined in various ways. An often-cited point of departure for both research and popular debate on global cities is Saskia Sassen's influential book The Global City (Sassen, 1991). This book presents a global city thesis developed from statements about the combination of spatial dispersal (i.e., globalisation) and spatial integration (i.e., urbanisation). Global cities are powerful locations that command and control centres of networks. The definition and recognition of a global city is not dependent on the sheer size or the magnitude of a city. The global city has power over economic resources and holds powerful positions in networks. In her work, Sassen (1991) proposes London, New York and Tokyo as major global cities. Since this book was published, many different models for ranking global cities have been developed and employed. An example of a recent ranking published by a global management company puts the following 10 cities in the top positions: New York, London, Paris, Tokyo, Hong Kong, Los Angeles, Chicago, Seoul, Brussels and Washington DC (A. T. Kearney, 2012). Saskia Sassen's global city thesis has exerted a strong influence on research within the Globalization and World Cities (GaWC) Research Network. GaWC has developed into an important source of inspiration in the debate on global cities, both in research and in policy. It has also given rise to more critical comments on the perspective and the methodology defined by this research network. GaWC is an international and open research network that presents itself as "the leading academic think-tank on cities in globalization" (GaWC, 2 Oct 2012). Over approximately 15 years, more than 250 different researchers have published their work on the GaWC web site. This research is aimed at developing understanding of the geography of global cities. Although this research has been performed from different angles and with a variety of methodologies, the significance of this research network is the idea that global cities may be identified through studying their external networks and flows. Peter Taylor (Emeritus Professor of Geography) is the core initiator of GaWC. The core statement repeated in Taylor's work and declared as a main foundation of GaWC is: "The world ... is a city-centred world of flows in contrast to the more familiar state-centred world of boundaries" (GaWC, 2 Oct 2012). This means that the world map should be drawn based on the pattern of power positions of cities and this is what Peter Taylor and other researchers in GaWC aim to do. Although GaWC represents many different research projects, GaWC's 'brand' is frequently related to one major project in which Peter Taylor has taken an important lead. This involves a specific methodology of quantitative analysis of the world city network and for which collection of data has been conducted for the years 2000, 2004, 2008 and 2010. These rounds of empirical investigations have also inspired a number of spin-off projects. One example is discussed in Lukas Smas' article Mapping Global Cities and Cities in Networks. Sassen's (1991) statement about global cities being key locations for spatial integration of finance and specialised service is operationalised in the data compilations of GaWC through the mapping of headquarters and offices of particular sectors of major advanced producer service (APS). The data have been obtained through web sites of major transnational APS companies. The offices of each company are translated into numeric values, from the highest (5) for global headquarters to the lowest (1) for small local offices. The location patterns of offices of these companies represent interlocking networks (Taylor, 2004). The sectorial structure of the selection of companies has largely been intact between the years for the empirical data collection and the 2008 collection comprised 200 companies in the following sectors: 75 banking and finance companies, and 25 each of accountancy, advertising, law, management, and media. Thereby banking and financial companies dominate the sample. The locations of offices of these firms are recorded for 525 cities worldwide. The data for the individual office (ranked 1–5) of companies for each city is arranged in a matrix with 525 rows for the cities and 200 columns for the companies. These values are then included in an algorithm to calculate the interconnectivity of cities. This value is claimed to be an approximation of the strength of cities' external relations (Taylor, 2004; Taylor et al., 2011). This methodology for sampling, collection of data, translation of offices into numeric values and calculation of the interconnectivity of cities are referred to as the GaWC methodology. The GaWC methodology is used in a large number of publications by Taylor and others. The results from these calculations are used to describe what is regarded as "... a metageographical transition called globalization and in which cities are playing a key role" (Taylor, 2004; p. 194). The results are presented in tables, lists, figures and stylized maps. Although these numeric exercises and the maps may be conceived as a descriptive work, it is also important to consider that it is far from value-neutral to draw a world map of global cities. Typically, a global city is related to positive values. A global city may be thought of as a dynamic and attractive environment that plays important and powerful roles. If you want to be in 'the middle of the action', a global city is the place to be. Thus, cities marked on GaWC's world maps with low values of 'global cityness' or those not included at all may be associated with opposite features; i.e., to be static, unattractive, and unimportant places to be bypassed. According to the list of the 50 global cities with the highest connectivity in GaWC's investigation from 2008, 27 were European cities, and one (Johannesburg) was located in Africa. The top five cities are London, New York, Hong Kong, Paris, and Singapore. One of the Nordic capitals, Stockholm, is present on this 'top list' of 50 global cities (Taylor et al., 2011; p. 25). Obviously, some parts and spots of the world are made very visible by GaWC's maps, while others are made invisible. Taylor et al. (2011) offers an extensive description of GaWC data compiled for 2008. Stockholm is ranked number 33 for all sectors, 32 for financial services, 17 for advertising and 22 for management. This is the only city in the Nordic countries with a position among the most connected cities worldwide. Comparisons between the Nordic cities based on the same data illustrate the connectivity of Stockholm in contrast to other cities in the Nordic countries, with its high values for far-reaching relations beyond the geographical constraints of the Nordic countries and Europe. In this comparison, Stockholm has far more intensive connections to major cities in China and New York, compared to other cities in the Nordic region (Hermelin, 2011). It is also important to note that different views on the data from 2008 produce different rankings of cities. This gives grounds to assume that the results from the calculations of city connectivities are sensitive to the selection of industries, as well as the selection of cities included in the database. Taylor writes, "...financial and business services are currently leading economic sectors that are dominating world city network formation, but firms in these sectors are by no means the only 'world city networkers'" (Taylor, 2004; p. 94). Based on this observation, I want to argue that the data compilation by GaWC has excluded important 'world city networkers', i.e., companies in sectors that are strongly relevant for the theories this research is based on. The sector I have in mind is information and communication technology services (ICT; this sector is not included in GaWC's databases). ICT is a core activity in recent and current waves of innovations and it is the critical infrastructure of the interconnectivities of cities. Sassen and others also stress the important role of cities for innovations. In a recent study of the Nordic cities discussed in Lukas Smas' article, firms were selected from two different industrial sectors. First, financial and market services. This includes banking, insurance, legal, and accounting services, management, and advertising. The second sector is ICT. The content of financial market services conforms to the selection of sectors in the GaWC methodology, while the inclusion of ICT services means including economic activities not considered by GaWC. The results of the study indicate that the inclusion of ICT service firms in the calculations makes a fundamental difference to the results. When ICT service activities are put in the centre for the calculations, global cities on the top of GaWC's ranking, i.e., London and New York, are given more subordinate positions. Given the good reasons to include ICT services – currently the most dynamic and critical source of innovation and economic growth – the alternative rankings and patterns of global cities in the working paper gives us something very interesting to think about in claims about the world city network pattern. The Nordic countries have a strong position in ICT services, which means that the inclusion of this sector makes Nordic cities more visible on maps of world city networks. Given the claim that visual images like maps have implications for our understanding of the world, such repositioning may make a difference.